Established in August of 2003 by experienced industry veterans Glenn Brodie and Roy Clements, Dream Installations was created when the two saw a gap in the market for a double glazing company that genuinely cared about quality and great homeowner service. Proudly serving the people of Lowestoft and some surrounding areas, we’ve been steadily growing ever since. Using our 30 years’ experience, we’ve gone from bedroom to business trend-setters, continuing to offer homeowners the very best windows and doors always at fair value. Moving into our current premises in 2009, we encourage those of interest to get up close and personal with their desired home improvement products with a visit to our dedicated on-site showroom. Here you’ll find an eclectic mix of solutions, most of which can be tailored to your exact liking. 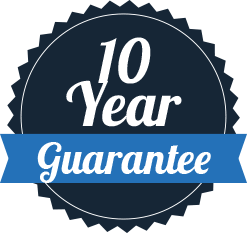 All our installers remain committed to providing that all-important personal touch with every installation they undertake, with a minimum of 10 years’ experience each. We don’t employ pushy salesmen, instead providing any who require it honest and thoughtful advice intended to better serve the home improvement journey. Being FENSA registered means that all our windows and doors easily exceed the necessary Building Regulation requirements, rendering Dream Installations a nationally recognised company for quality products and great service. This, accompanied with deposit-free installation services assures that we always work in the homeowner’s best interests every time.